Working within the centre of a busy local community Mid Glam Construction carried out the demolition and removal of a potentially hazardous boundary wall and dilapidated timber perimeter fence. 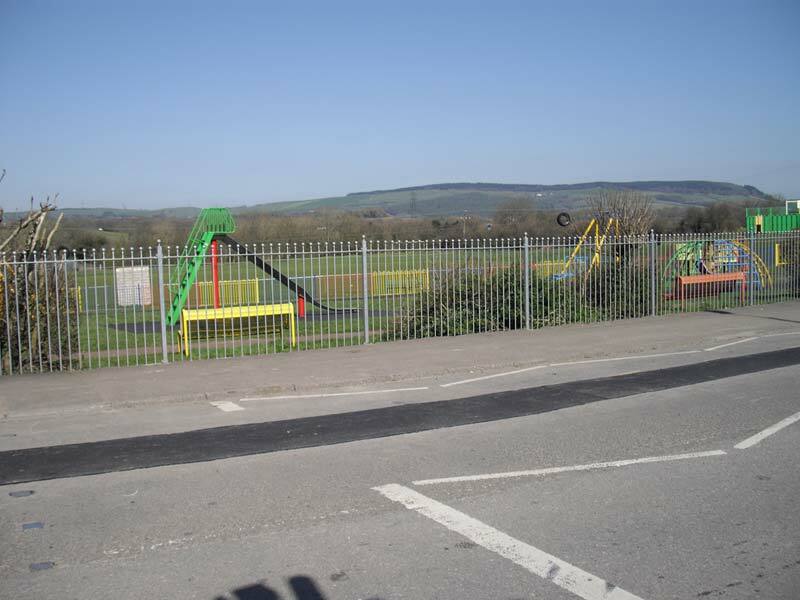 This was replaced with ornate galvanised steel railings and colour co-ordinated Hoop Top Fencing to Play Areas. Temporary security and pedestrian management were essential for the safety of operatives and members of the public. Our quality and professionalism was rewarded with a letter from the council members expressing their delight with the quality and efficient way the works were carried out. "I would like to extend the thanks of my Council to you and your staff for a "job well done". 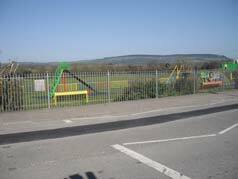 My Members and Local Residents are delighted with the fencing both at the play area and at the playing field. I personally would like to thank you for your assistance with both projects and look forward to working with you again in the future."